Before the Arrow panel at the Saban Theatre in Beverly Hills, as part of the 2013 PaleyFest, we spoke with some cast and crew members of the show, trying to get some spoiler hints as to what to expect. 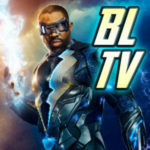 Show Executive Producer Marc Guggenheim is probably used to our grilling by now, as we talked to him about several fan-favorite supporting characters and tried to get some details about some upcoming episodes as well. Because of the nature of a press line, the topics jumped around a bit. Our questions to Mr. Guggenheim are posted in bold and his answers are not. GREENARROWTV: The character of Felicity Smoak, as played by Emily Bett Rickards, will be a series regular for Season 2 and has really taken off with fans. Was her popularity a surprise? GUGGENHEIM: I wouldn’t say it was a surprise; I would say it was really gratifying. Originally, Felicity was written as this one-off character. We just needed a computer tech for 103. Then we cast Emily Rickards who was just wonderful, and kind of unknown to us. We really only cast her because she was perfect for the role, perfect casting. Then when we saw her on camera, we just found ourselves wanting to write more to her, and see more Felicity. So, it was really not surprising, but gratifying, that the audience responded to her the way we did. At what point did you all decide to let Felicity in on Oliver’s secret? It wasn’t part of the plan, because Felicity was never part of the plan. She was this wonderful surprise. But we realized that there’s only so many BS excuses that Oliver can give her before it started to really strain credulity, and really damaged the credibility of the show. In many ways, it was a choice that Felicity either learns the secret, or she goes away, and her going away was never an option. Another recent popular addition to the series in recent times was Colton Haynes as Roy Harper. Will we be seeing more of him? Yes. Episode 18 is the next episode you’ll see him in. Colton is wonderful, and his scenes with Thea are just terrific. Willa and Colton, on screen together, is a lot of fun, and they’re fun to write. Is there any chance we could be seeing Colton Haynes as a series regular for Season 2? I hope so, [but] it’s pilot season. That’s the thing, so a lot of it depends on stuff that’s out of our control at the moment. But, look. We love Colton. We would love for him to be on the show as much as he wants to be on the show. 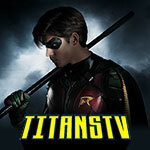 Can you tell us more about what’s coming up as we build towards the season finale? Episode 18 will explain a lot. I think Episode 18 is well-positioned, because it sets up everything that we’re headed [toward] in the finale, but it also draws on the seeds that we’ve planted back in Episode 2 and 3. You’ll get to see how everything connects together. All those little things that we’ve been throwing out there that may have seemed random, or unintentional… they always had a plan and a rationale behind them. For me, the fun stuff is paying off… I’ll say [this]: Unidac Industries is not just a random presence, and that was something that we introduced in the San Diego Comic Con comic. It was first mentioned in Episode 3, but it’s very important in the overall mythology of the show. Speaking of things coming together, is there any chance that we’ll see Laurel’s mom (Alex Kingston) and Tommy’s dad (John Barrowman) in a scene together? Unfortunately, probably not. Not unless we change things pretty unexpectedly. We tried figuring out ways to get them together, because of the Doctor Who connection. We really, really wanted to, but there’s no point in doing it, unless it’s going to be satisfying for the audience and work for the show. We don’t want to force something just to force it, or do it just to be stunt-y. I wish I could say yeah, but, unfortunately, no. You recently revealed an episode title called “Home Invasion.” What can you tell us about that? I don’t want to spoil it, but the idea for this episode was something we’ve been keeping in our back pocket ever since we got picked up to series. I don’t know how to tease it without spoiling it, but let me say this: If you think about it, the title spoils a lot. Are we going to be seeing more of Slade? Definitely. 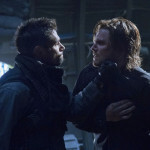 We love Slade, we love Manu Bennett. You’ll see him; he plays a huge part in the mythology of the island, and just like in the present day, we’re driving to a big finale on the island as well. The flashbacks will have their own sort of season finale storyline. Our thanks to Marc Guggenheim for the chat. 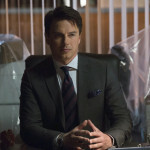 Arrow returns March 20 on The CW. 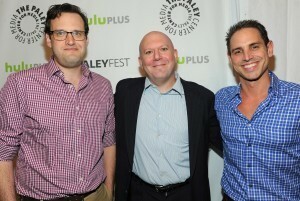 To read our interview with Greg Berlanti, where he reveals a returning villain, visit our general TV news site, KSiteTV!